As I sit here writing this I remember sitting in a meeting with my commissioning editor in London two years ago, trying to describe the book that I had in my head. 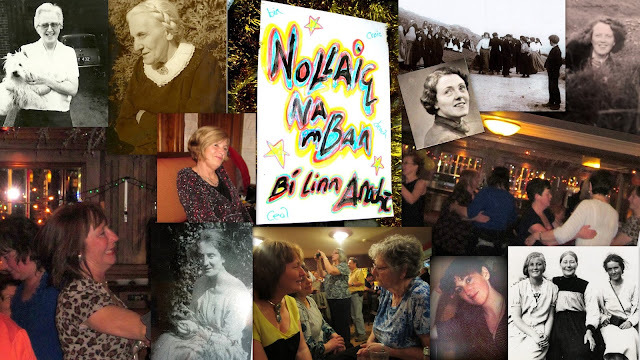 'The house is ours bought and paid for, but it's still Tí Neillí Mhuiris.' I was attempting to distil the essence of this low, grey house on an Irish hillside. But I was also trying to describe how deeply heritage and tradition inform my neighbours' lives. I remember thinking that sounded corny. But I swallowed a mouthful of tea and I said it. Because it's true. 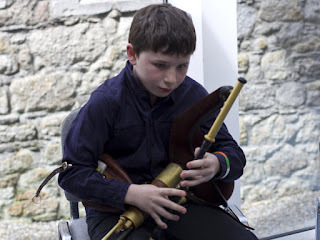 Last month the Irish flute-player Mary Rowsome and her son Mark Óg travelled to London to play at the UK launch of The House on an Irish Hillside.Young Mark's an uilleann piper. 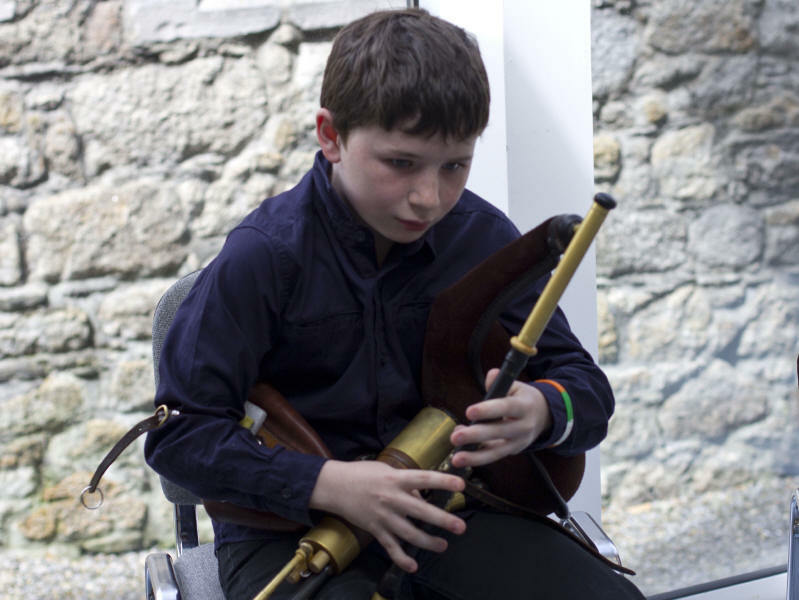 Uilleann pipes are a traditional Irish instrument, smaller and quieter than the Scottish bagpipes, with a bag that’s inflated by a bellows pumped by the player’s elbow. (Which is where the name comes from – the Irish for ‘elbow’ is uilleann.) He's one of six generations of pipers whose skills in playing and pipe making have been passed down through the Rowsome family since the 1820s. 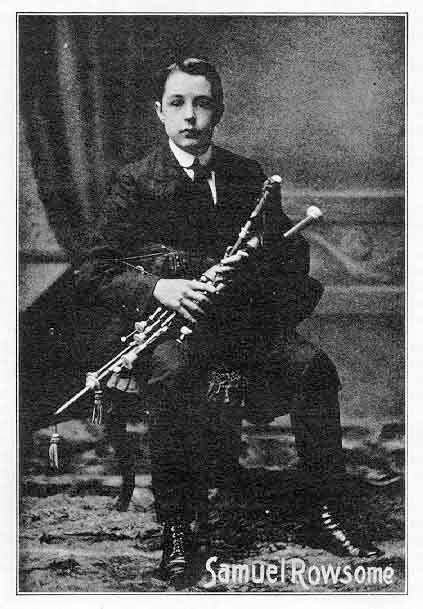 His great-grandfather, Leo Rowsome, one of the founders of Comhaltas Ceolteóirí Éireann, was known as Rí na bPíobairí, which means The King of The Pipers. Leo was also a founder of Na Píobairí Uilleann, the Irish uilleann pipers' association: Kevin, Mary's brother, is one of its board members today. 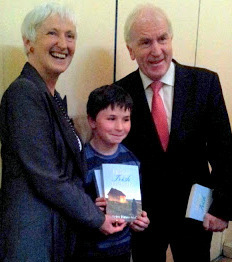 The House on an Irish Hillside was launched at the Irish Cultural Centre, Hammersmith, as the opening event of Irish Writers' Month London 2012, by Jimmy Deenihan the Irish Minister for Arts, Heritage and the Gaeltacht. It's dedicated to Mary Rowsome's uncle Jack Flaherty, our neighbour here in Corca Dhuibhne. Mary can remember her Flaherty granny singing songs by the fire in Jack's kitchen; music's a tradition on both sides of her family. Her husband Mark Lysaght is a talented musician too and their three sons all play instruments. When Leo Rowsome died in 1970 he was the only fulltime uilleann pipe maker in the world. And not all that long ago it seemed that pipe-making in Ireland was dying out. Which was ironic because the number of uilleann pipers in Mark Óg's generation is growing, and there are seven-year waiting lists for new, Irish-made pipes. But respect for tradition is a cornerstone of Irish piping. And last week Minister Jimmy Deenihan opened PIPECRAFT, a dedicated Pipe-making Training Facility established in Dublin by Na Píobairí Uilleann. Home to a three-year full-time course with ten trainees from all over Ireland, it's a triumph of vision and determination on the part of a dedicated group of musicians who cherish their inheritance and intend to hand it on. Thank you so much for that. And thank you for your own respect and love of tradition and everything creative. And Mark is wonderful, I am inspired! Wish I could have been there too! Isn't it nice too that so many younger people are interested in keeping this music and traditions alive. Good luck with your book. Thanks for the good wishes, Bridget. I think that younger people's interest in traditional music has a lot to do with the fact that many of them learn in cross-generational sessions. It's always great to see them rising to an occasion when they're playing with/learning from more experienced players. We have a lad over here in Asheville, NC learning to make uilleann pipes. Not sure of the name of the guy who's teaching him, but he plays at the one convenient local trad session most weekends. Very surprised the first time I attended that session -- did not expect to find a local uilleann piper when I moved to NC.